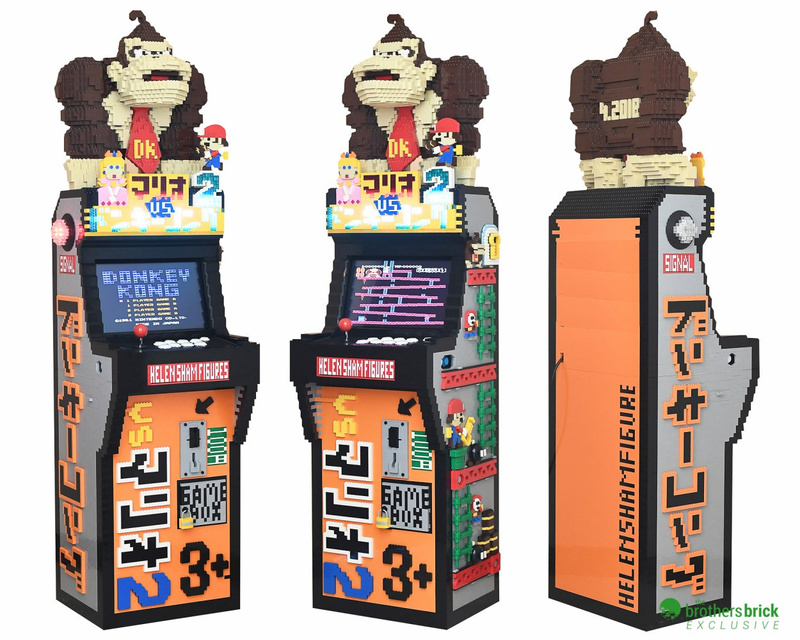 Sometimes fan-made creations can simply blow you away, and this 1/2 scale Donkey Kong-inspired arcade cabinet made from LEGO is certainly one of those times. 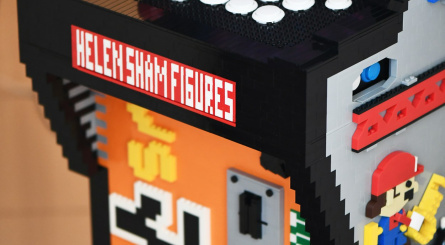 The creator of the cabinet, Helen Sham, has explained that over 15,000 LEGO bricks were required to build the entire piece. Standing at more than five feet tall, the cabinet weighs over 65 pounds (nearly 30kg). The design of the cabinet only took Helen around six hours, but over 27 hours were needed for the build itself. 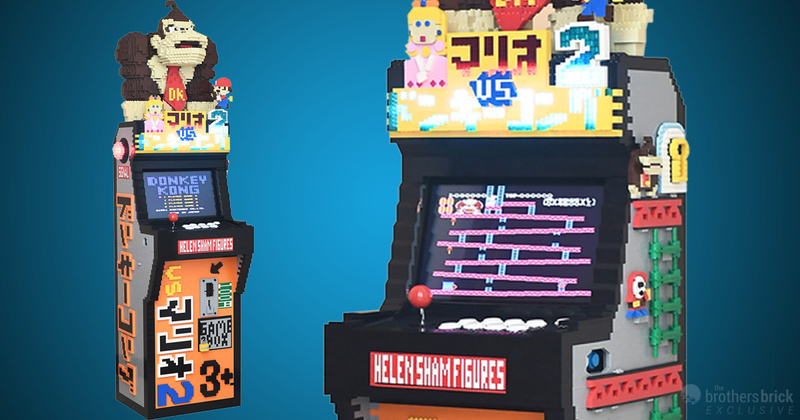 With a giant Donkey Kong figure on the top, brick-built graphics on the sides, and a mock coin tray for arcade tokens, the cabinet features real arcade internals to run actual games on the screen. You can check out the whole masterpiece in action in this video below. Do you have the brains to come up with something like this? Feel free to share your amazement with us in a comment down below. OK, this is just cool! 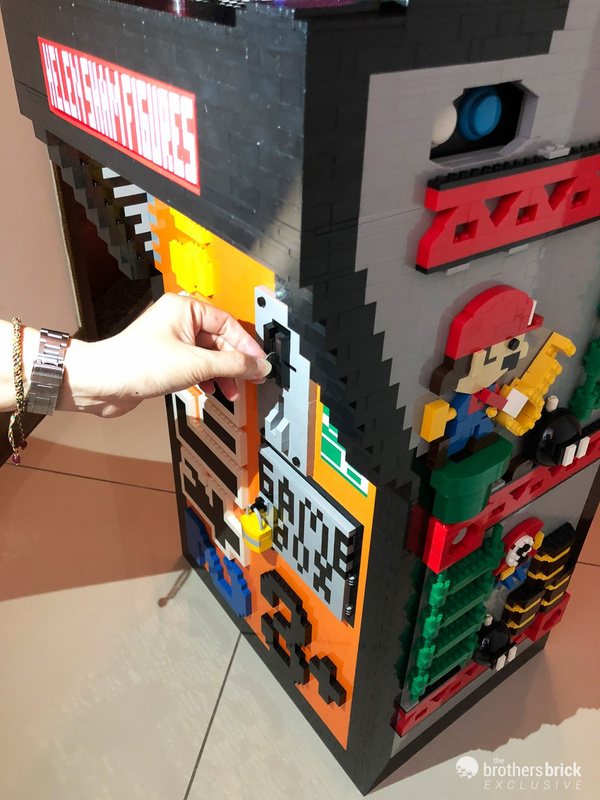 The cost of buying 15000 legos is probably more than just buying an actual cabinet. Still cool though! So... Just out of curiosity: Helen is actually a guy, or did someone else showcase it in this video? Impressive, nonetheless, although I do have to wonder why, because it's going to be an absolute pain to keep this project dust-free, and hard to clean with all the jaggy edges all around. Hope they used plenty of "cra-gl-e" to hold that thing together, Lego is just annoying when it's always coming apart in your hands. I also think this Lego resurgence thing has gone far enough, personally. Come on Nintendo! Get a contract with Lego already! 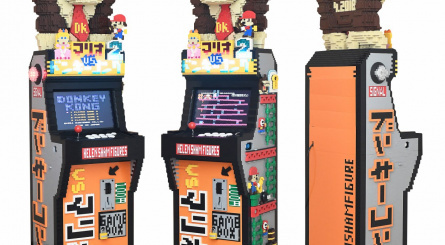 But 1) why is it Mario Vs Minis 2 themed, and 2) why use a landscape monitor setup to play a portraight game? Looking at the button layout, I reckon its more been designed to play fighters or a variety of titles, but then why chose a tate game to show it off? Stil a great achievement in design and function, and hugely impressive, but just seems a weird choice. 2 much unnecessary retro crap 4 mii. @ThanosReXXX If you look at Helen Sham's Facebook page and the videos therein, she is definitely female. She doesn't show her face (don't blame her, the interwebz can be a scary place for women) or speak, but definitely female. And I NEED one of the Batmen! 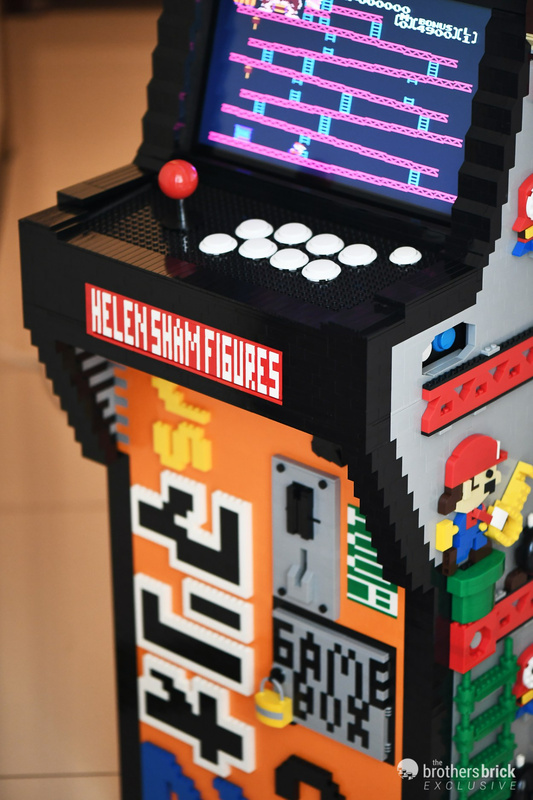 Edit - there is one photo of her standing behind the Lego arcade machine, at least I assume it's her because her face matches her avatar. Very artsy day. Still, this is amazing. 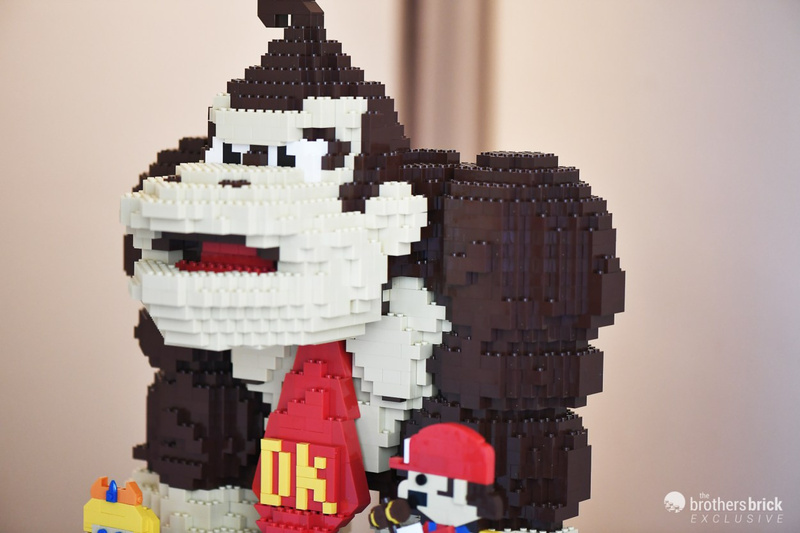 Dang, now I want a new Mario vs DK on Switch. Real arcade internals like a PC lol. That looks like it’s running on emulators to me considering it has a front end. Also, the fact that they included the “pinball” style side buttons. Not a big deal, just thought it was strange as it is easy to spot. @DizziParadise Aha... thanks for the info. I was truly wondering, considering that the hands that you see in the video don't really strike me as being female, so that more or less inspired the question. 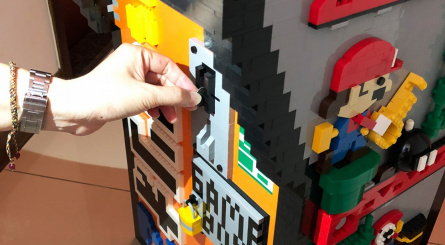 Really something like this with Lego is mostly a matter of time and resource (Lego bricks of the appropriate colors and amount and the correct sizes). 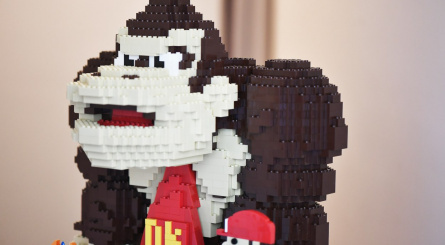 Lego is almost perfectly designed for pixel art. The problem is that it is a rather big pain to order Lego in bulk of specific sizes and colors. I am a huge Lego fan but the main reason I don't build more is space and cost.